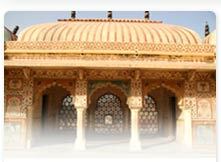 Jaipur was built in 1727 by king Jai Singh, after whom it was named. 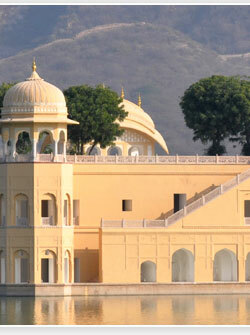 Its most striking feature is the pink wash applied to the buildings, giving Jaipur its universal title, the 'Pink City'. 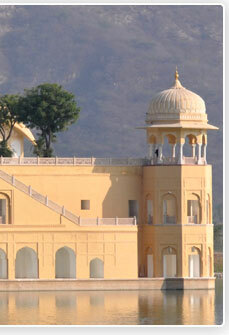 Jaipur, a royal city with its fairy - tale palaces, rugged fortresses display remarkable harmony in architectural splendor. 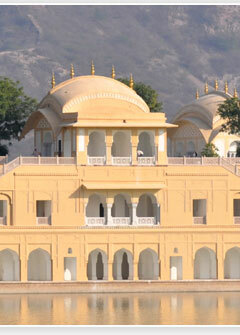 Jaipur's craft, especially lacquer bangles are famous all over the world. 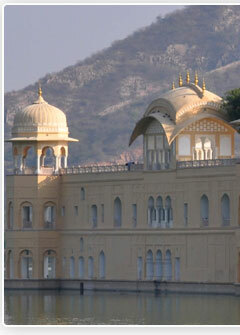 Some of the palaces, once the residence of Maharajas have been converted to heritage hotels.